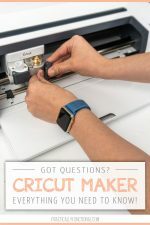 Learn how to make a pillow box with your Cricut Maker in under ten minutes! 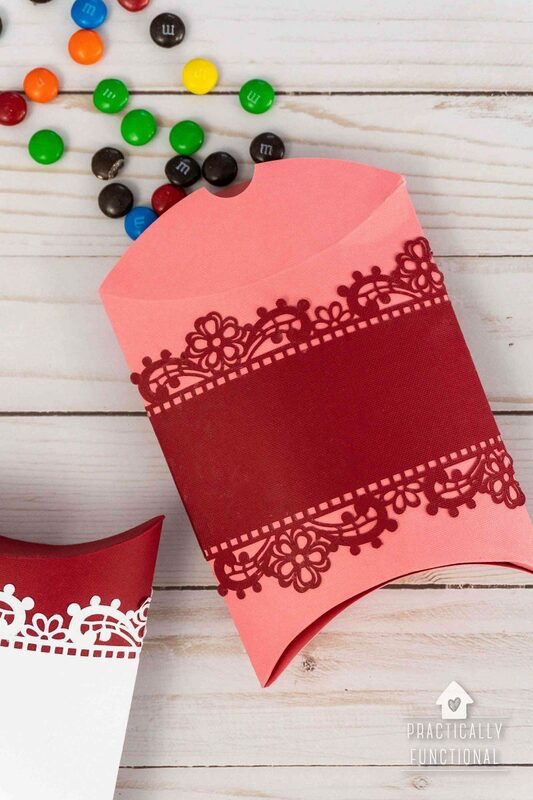 Plus get the pillow box template so you can make your own exactly like this! 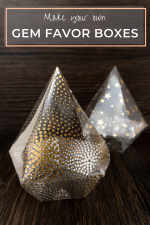 Pillow boxes are the perfect tiny gift boxes for any occasion! 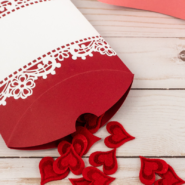 I love using them for Valentine’s Day, birthday party favors, wedding or baby shower favors, etc. And they’re so quick and easy to make! I made these with my Cricut Maker (cuz there’s no way I could have cut out that intricate lace pattern by hand!) and they only took about ten minutes from start to finish. 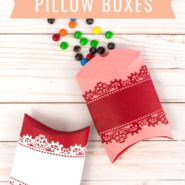 This tutorial will show you how to make a pillow box using a Cricut Maker, and I’ll share my pillow box template so you can make your own exactly like these! You can also make pillow boxes out of toilet paper tubes or paper towel tubes! 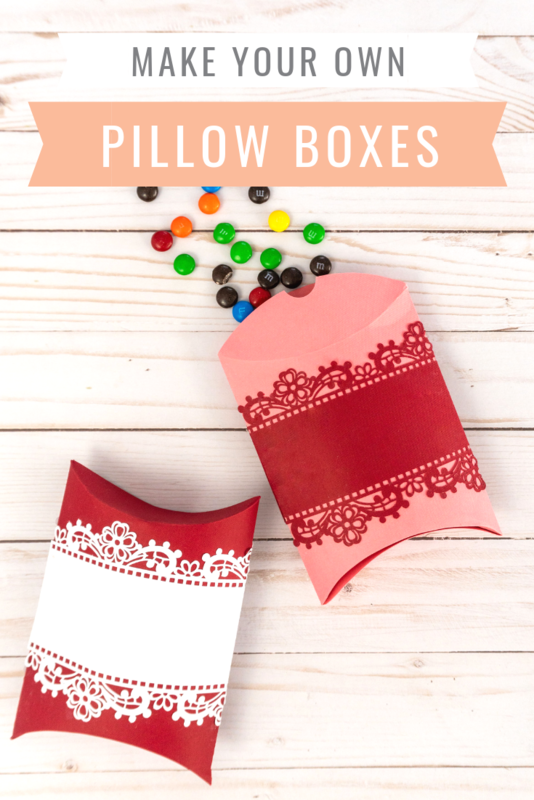 Here is the pillow box template in Cricut Design Space that I used to make these pillow boxes. 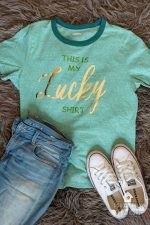 It’s free with Cricut Access! 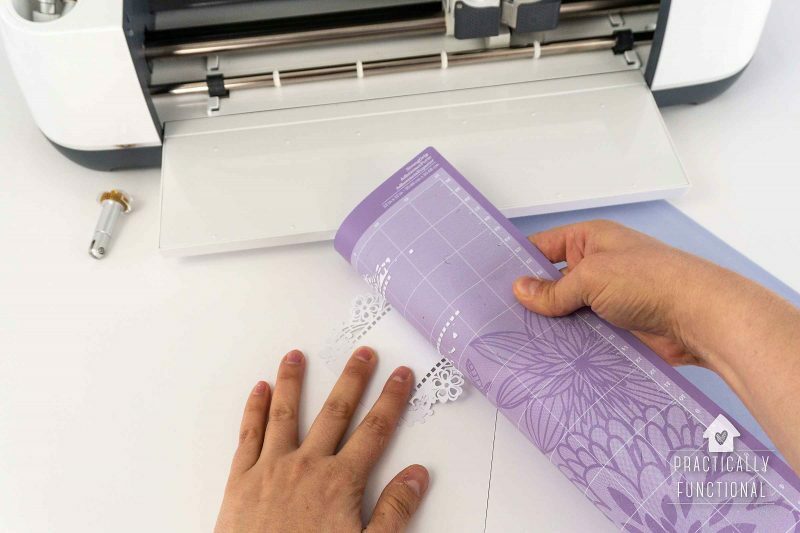 Start by opening the lace pillow box template. Click the green Make It button to make the pillow box as-is (the boxes are approximately 4″ x 5″ once folded up and assembled). 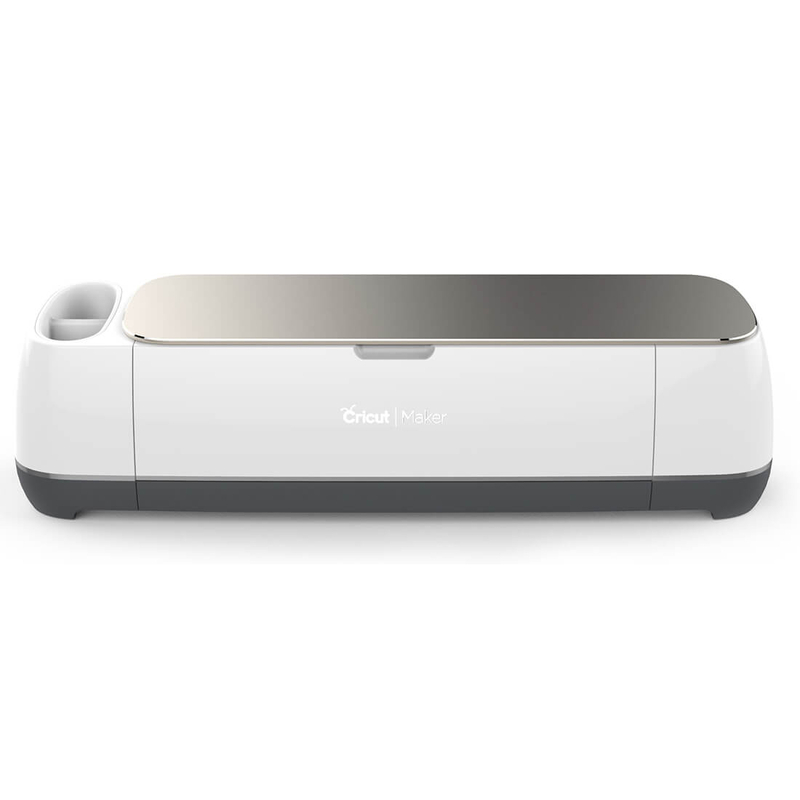 If you want to resize the box, click the Customize button to open the project in Cricut Design Space. 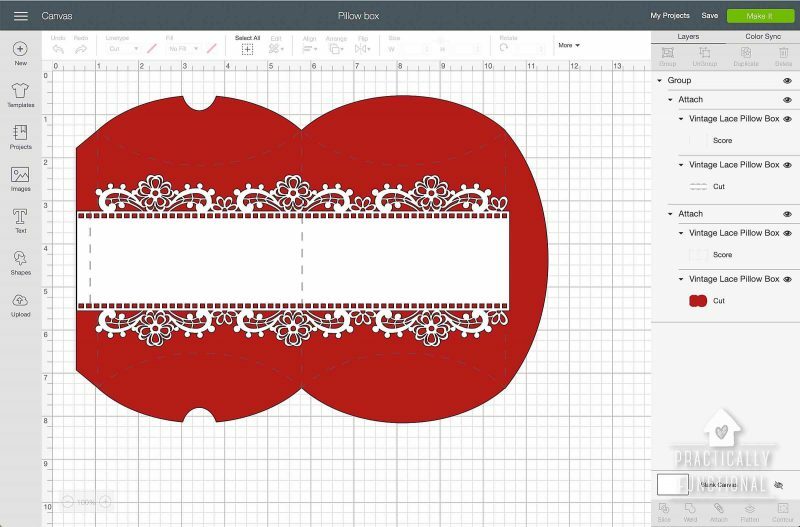 The box piece and the lace piece are grouped together, so it’s easy to select the template and resize as needed. Click the green Make It button once you’re ready to do the project. 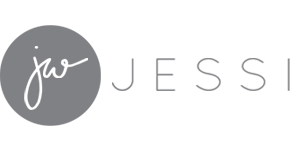 I used the scoring wheel for this project to get crisp, clean score lines on the pillow box itself. 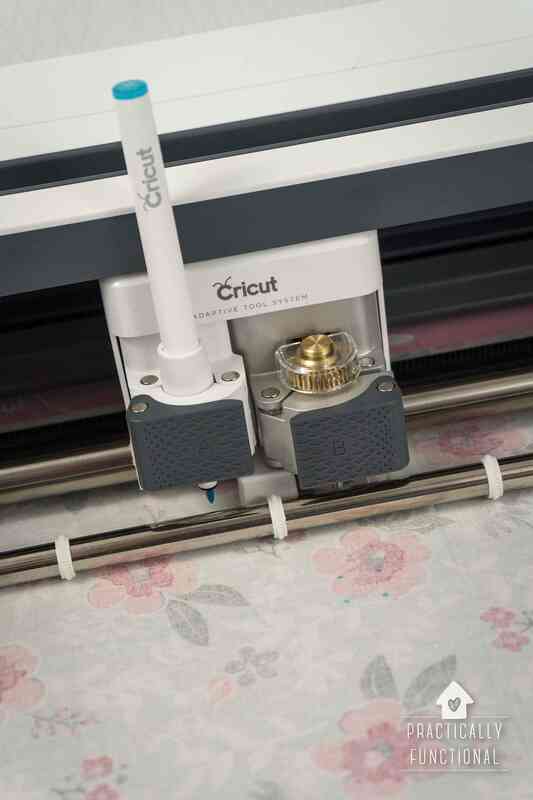 When you score something with a Cricut Maker, you want to score the back side of the material, so make sure that you set the mats to “Mirror” and load the paper onto the mat “pretty side” down. 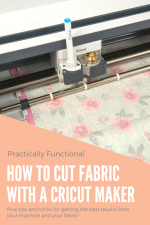 Follow the on-screen instructions as Design Space walks you through cutting out the mats. It will do the scoring first, so install the scoring wheel before you load the mat into the machine. 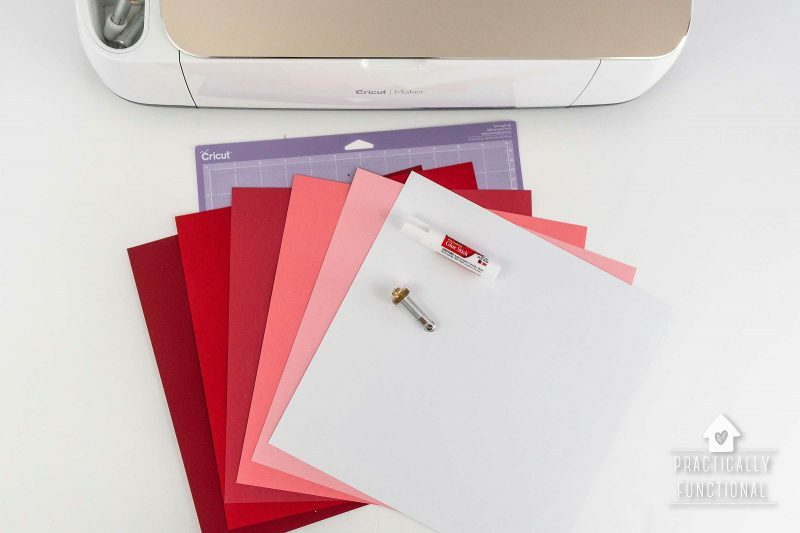 After it scores the paper, it will tell you to take the scoring wheel out and put the fine-point blade back in. Make sure you DO NOT unload the mat while you do this! 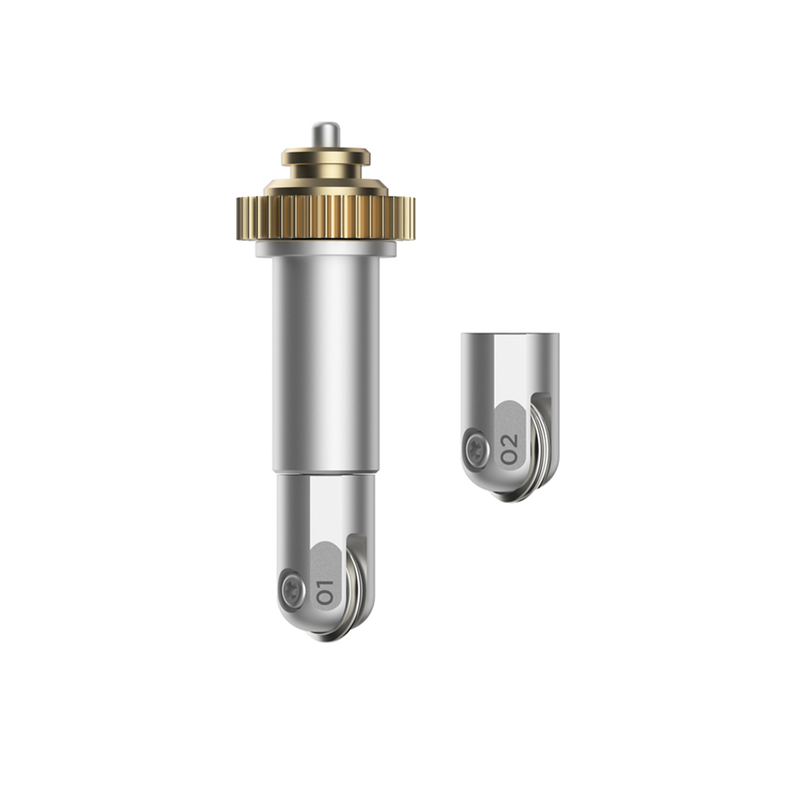 Just switch out the blade and press the flashing Go button again. 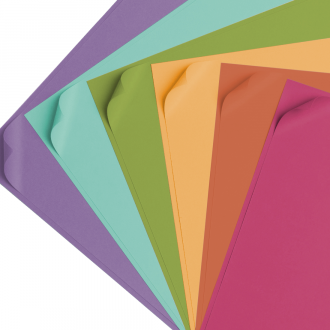 Once it’s done cutting, put the mat upside down on your workspace and carefully bend and peel the mat up off the paper, holding the paper down against the table so it doesn’t curl. 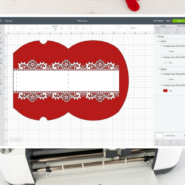 Weed away all the cut out dots in the lace piece while the Cricut Maker cuts the large box piece. 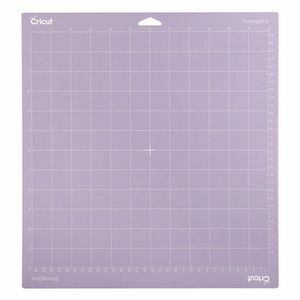 Peel the mat back off the paper the same way when the Maker finishes cutting the second mat. Bend all of your scored lines by folding both sides up (folding into the score so that the scored line is on the inside of your fold), then glue the lace band onto the pillow box, lining up the scored fold lines. Glue the sides of the box together to make a little “tube”, then fold the top and bottom oval pieces over each other to close the ends of the pillow box. 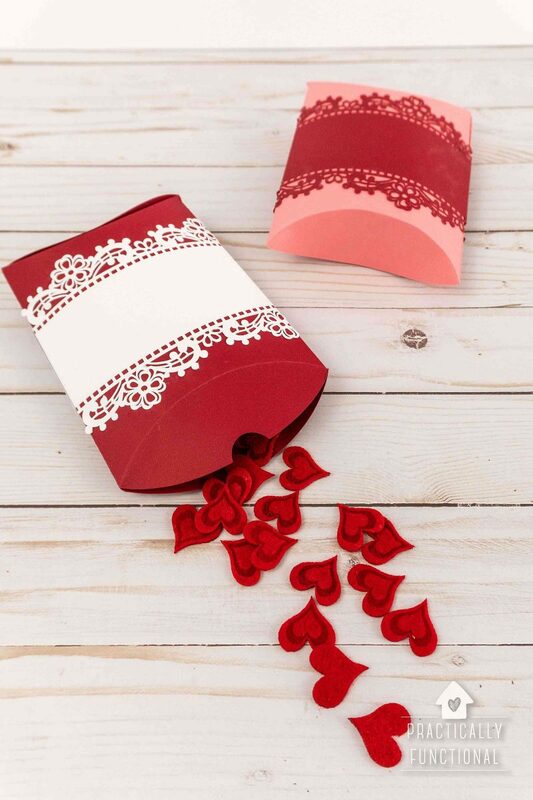 Fill them with candy or other goodies and hand them out as valentines!